For commercial use of this photograph please visit www.alamy.com and search for RJ9YTR but for a one off print, please see below. 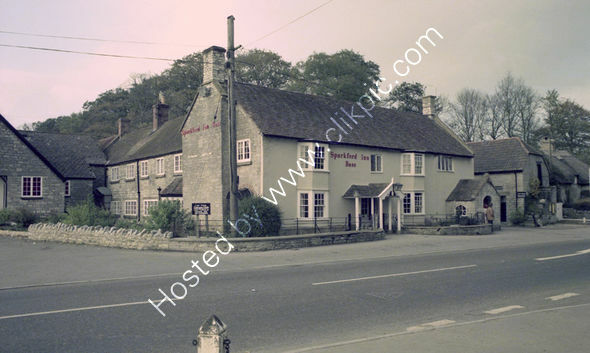 The outbuilding to the right of the Sparkford Inn, Yeovil in1975 has "Gentlemen" over the ground floor door. Recent research in 2018 showed possible ivy Growth over the door at the top of the steps. The new signage on this photo has Bass whereas the older pre 1975 had Charringtons.